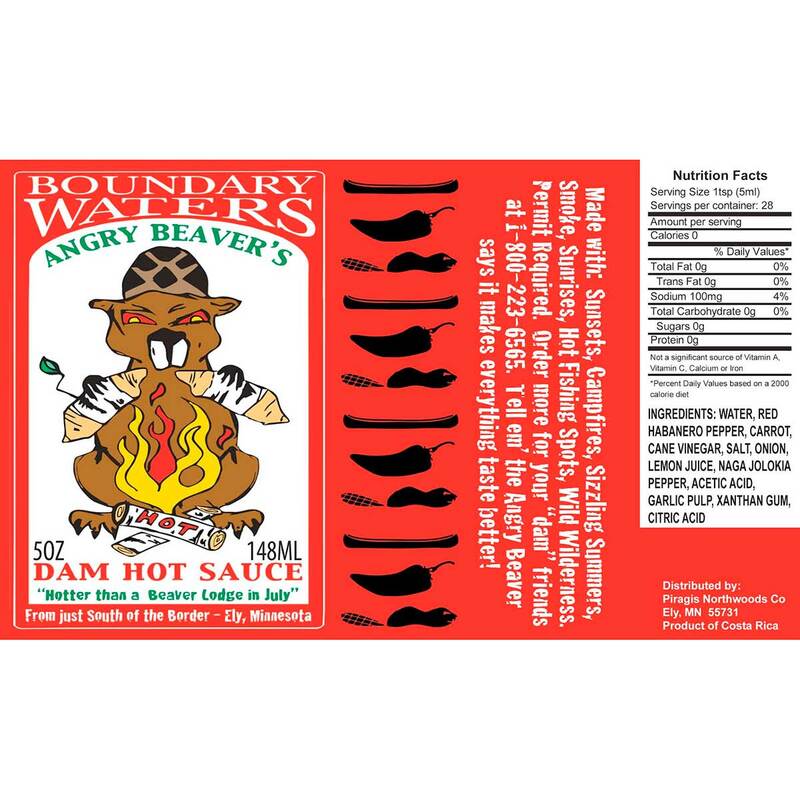 Boundary Waters Beaver's Dam Hot Sauce! "Hotter than a Beaver Lodge in July." From just south of the border- Ely, Minnesota. Made with:Sunsets, Campfires, Sizzling Summers, Smoke, Sunrises, Hot fishing spots, Wild wilderness. Permit required. A great tasting all around flavor punching sauce. Habanero crushed pepper sauce is a thick sauce produced with fresh, ripe, habanero peppers. The peppers are cleaned, crushed, and clended with other fresh vegetables, lemon juice, onions, garlic pulp and more, producing a flavor punch like your taste buds have never experienced! Makes everything taste better I received this hot sauce as a gift and I have to tell you, it is delicious. Just enough heat and a really great flavor profile. I used it on eggs and even pizza. This sauce is a winner. Fantastic Flavor I helped design this sauce. Nancy Piragis and I were part of the taste test team originally and I can't be more happy with the flavor. I use it on eggs in the morning and on nearly everything I eat for dinner. It replaced the old familiar standards. Not too hot, never gets old as far as I'm concerned. 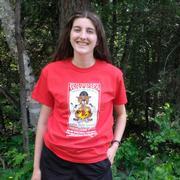 BTW the label is an original illustration by me, Tim Stouffer, the Catalog Director at the Boundary Waters Catalog. ENJOY, We'll make more! Awesome Sauce We love hot sauce at our house. Our go to sauce has been Louisiana Hotsauce. But since finding the Angry Beaver Sauce the Louisiana has been sitting lonely. Great stuff!!! Eggs, nacho's and pulled pork with this sauce are some of our favorites.